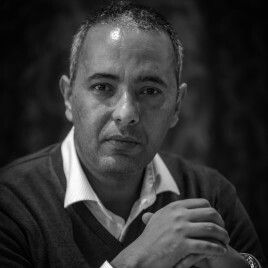 Kamel Daoud (born 1970) – an Algerian writer and journalist; he collaborates with the French newspaper Le quotidien d’Oran. His debut novel The Meursault Investigation, in which he rewrites the plot of The Stranger by Camus from an Algerian perspective, echoed widely through the Arabian world, which pronounced a fatwa and a death sentence in absentia upon the author. However, it was appreciated in France, where Daoud received Goncourt du Premier Roman (a prize for a novel debut). Even though his life became directly endangered, Daoud decided not to leave Algeria, which he calls his homeland for good and bad.